“The Cloud” is an abstract premise to many people. Put simply, using the cloud means storing and accessing data and programs over the Internet instead of on a server or your computer’s hard drive. It’s a network of servers, each having a different function such as running applications or storing data. Many of us use the cloud without even knowing it; Gmail, Facebook and Instagram are all everyday examples of the cloud. It’s simple to switch to, easy to scale up and down, and allows you to customise so you’re paying for what you need and nothing more. The Cloud makes great business sense – especially SMEs. While in the past Ireland had been slow to adopt cloud computing, this has changed thanks to the spread of superfast broadband, and more businesses realising what the cloud can do for them. The cloud has come of age in Ireland, but in case you’re still on the fence, we’ve outlined 5 great reasons how the cloud can benefit your business. Being in the cloud brings natural economies of scale. The scalability of cloud-based systems means that your services can grow to meet increased demand and scale down during slow periods. There’s no need to worry whether your business can handle a surge in activity, or how much money you’re wasting running inactive servers. When you run your own servers, you’re looking at large up-front capital costs. But in the world of cloud computing, financing that capital investment is someone else’s problem. With everything saved in the cloud, you don’t have to spend time and money buying, upgrading and maintaining hardware that is very often disproportionate to the needs of your business. The cloud holds all your information securely and can be accessed anywhere via an internet connection. Going with the cloud lets you invest in what’s important – growing your business – rather than costly infrastructure. Since you aren’t responsible for infrastructure you avoid any maintenance costs associated with it. Being in the cloud means someone else is looking after your infrastructure. Not only will this save you money, it can remove the headache of dealing with servers and complex hardware maintenance. With your servers hosted off site, you no longer have to budget so heavily for service cost and repairs. This can significantly reduce your businesses staffing expenditure, allowing you to redeploy your valuable IT resource to more productive activities, which in turn makes your business more efficient and profitable. The Cloud allows businesses to use their provider’s high quality servers with predictable ongoing costs rather than requiring large up front investments and high maintenance fees. Remember that when you’re running your own servers a backup is always required – you don’t want to experience downtime in case of a failure but at the same time these costly backups will often go unused. So, why not let your service provider deal with securing your data? A great example of a cloud service that saves money is a cloud-based VoIP service. 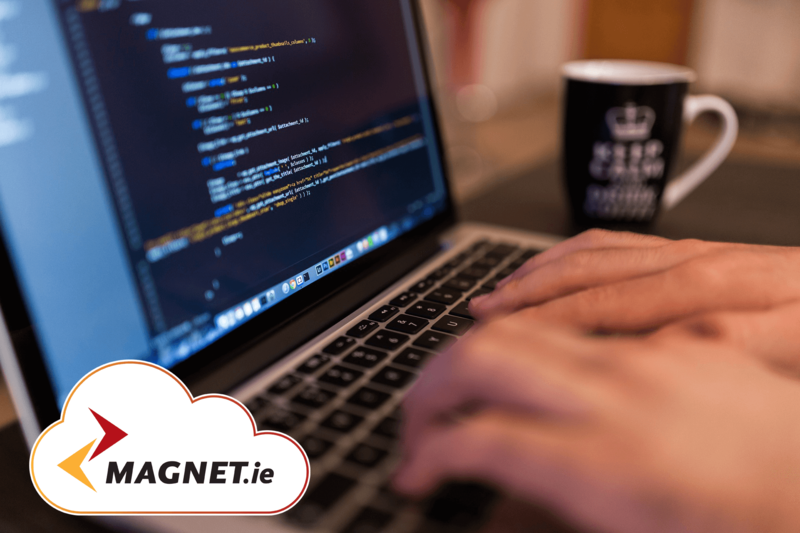 Cloud based VoIP services like Magnet Voice can save you money by cutting out the cost of line rental. It works over the internet so once you’re connected online that’s all you need! As a company grows the number of phone lines can rocket… as will their line rental fees! Another example of cloud services delivering cost savings are bundled packages, although traditionally bundles packages were only available for enterprise suites. Magnet’s Office in a Box package is designed for SMEs to save on costs, its all your telecoms needs in one: phone, broadband & domain registering. It also includes unlimited landline calls to 18 countries, so you won’t have have to worry about watching your minutes! Simply put : cloud computing uses less electricity. Businesses can dramatically reduce their energy costs by moving to the cloud. By using only the servers they need, businesses become more efficient with the power they use and reduce overhead costs. Idle servers waste energy so businesses working in the cloud can enjoy reduce energy costs while also being friendlier to the environment. Still not convinced? Get a quote from us today and see what your business can save.